The LIGNA show in Hannover, Germany, is back again from 27 to 31 May this year with another roundup of products, machinery, solutions and ideas for the entire wood industry. Advanced technologies, digitization, integration and automation are key trends in woodworking and wood processing – and hence keynote themes at LIGNA. 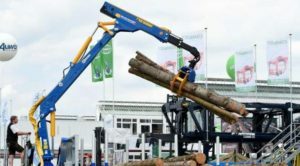 LIGNA is the only platform that showcases technology and solutions for forestry and primary and secondary wood production. It attracts key players from across the entire wood industry. The primary industry comprises forestry, sawmilling, wood-based panel production, wood energy and pulp and paper. It is the first link in the wood value chain and is therefore a core part of LIGNA. The primary-industry section of the show is clustered in halls 25, 26 and 27, on the open-air site and in the outdoor pavilions beneath the EXPO canopy. It features numerous exhibitions of new products and solutions, not to mention a wealth of presentations, lectures and networking events – all knitted together under the overarching banner of automation and digitization. Forestry Benefit Evening The evening of 29 May has been set aside for the traditional Forestry Benefit Evening – an opportunity for dialogue among forestry-industry multipliers and experts from Germany and abroad. This year's evening will run under the motto "Forestry Industry – Shaping the future". The motto was chosen in recognition of the current situation with windthrow and bark beetle infestation and the need for reforestation. The opening address will be given by Barbara Otte-Kinast, the German state of Lower Saxony's Minister for Food, Agriculture and Consumer Protection. The Forestry Benefit Evening is staged jointly by Deutsche Messe and KWF. The benefit evening traditionally also hosts the award ceremony for the Hans-Jürgen-Narjes Prize. The prize is offered by Qualifizierungsfonds Forstwirtschaft e. V. and carries 2,500 euros of prize money. Its purpose is to formally recognize and encourage outstanding commitment to and/or provision of training and professional development for employees in the forestry services and contracting sector. 13th Lower Saxony Crane Driving Championships and 4th Women's Crane Driving Cup Among the more spectacular events on the open-air site are the Lower Saxony Crane Driving Championships and the Women's Crane Driving Cup . Held on the Thursday of LIGNA, they offer a thrilling mix of big-machine mastery, sport and entertainment. 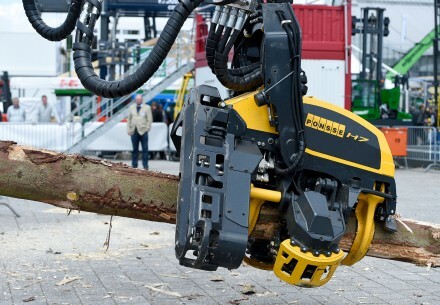 Both events are organized by the German Association of Forestry Contractors (AFL), with support from Deutsche Messe.